Stands on hind legs and trumpets. 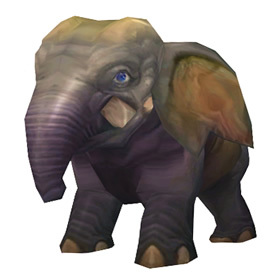 This pet is chosen among four vanity pets as a reward after completing a chain of Children's Week quests that begin in Outland. These quests may be accessed by characters level 60+. See the Guide to Children's Week for a detailed walkthrough of this chain. Other rewards for the final quest include Egbert, Willy, and Legs. 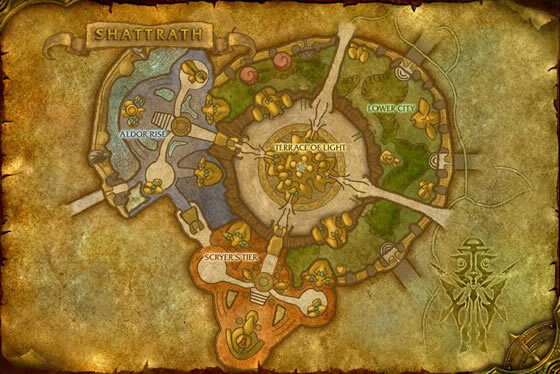 Collecting all four pets on the same character is possible (over the course of four years) since the quests are repeatable each year. Smash the enemy, dealing 433 Beast damage. Tramples the target, dealing 197 Beast damage plus an additional 10% of the target's health. Enrages the user, causing them to attack, dealing 197 Beast damage and increasing the damage they deal by 25% for 3 rounds. Deals 591 Beast damage and has a 25% chance to stun the target. Starts a stampede, causing 177 Critter damage. Opponents struck by the stampede take double damage for 2 rounds. Stampede continues for 3 rounds. battle wise, not really worth it, 2 moves that benefit from speed (stun going first, survival going first) and zero moves which would be good for a H/H breed pet. Only useful for trample spamming for those pets with a huge health pool to get more tramples than non H/H breed pets for doing just that. First use headbutt and then smack and almost the fight is over, headbut stunts the enemy for two rounds and smack bring it down from 25 to 40 % hp.one more attack with smack and the fight is over. I love this lil guy. Wish it were so Dakaf, but it isn't. The 3 pets for the Veteran Nanny achievement must be collected on one character. On the plus side, we should be able to get all of the pets this year. Yay for alts and account wide pets! Just got him today, it was a hard pick between him and legs. Alas cute usually wins with me. I love when he trumpets, it's so cute. Domesticated elekks are trained as mounts by the draenei people. In the wild they are hunted for their ivory tusks.